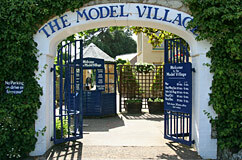 The entrance to the highly recommended Model Village. This is a reasonably priced attraction and is a pleasant walk around on a nice day. See attractions. 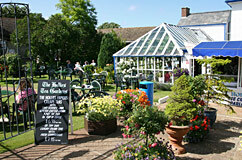 The Hollies Tea Gardens - just one of many here in Godshill. 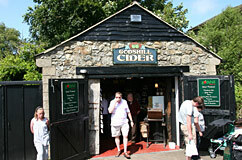 Godshill Cider Barn, lots of strong stuff in here! 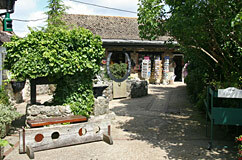 The Old Smithy Gift Shop. You can't miss it it's the one with a wishing well and stocks outside, handy for a quick souvenir photograph, for ours see the last page.